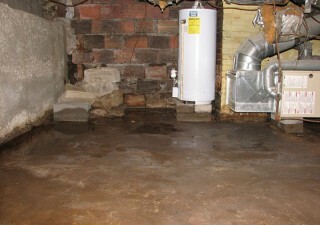 After years of free-standing water the concrete foundation can become pourous and allow water the penetrate your home. 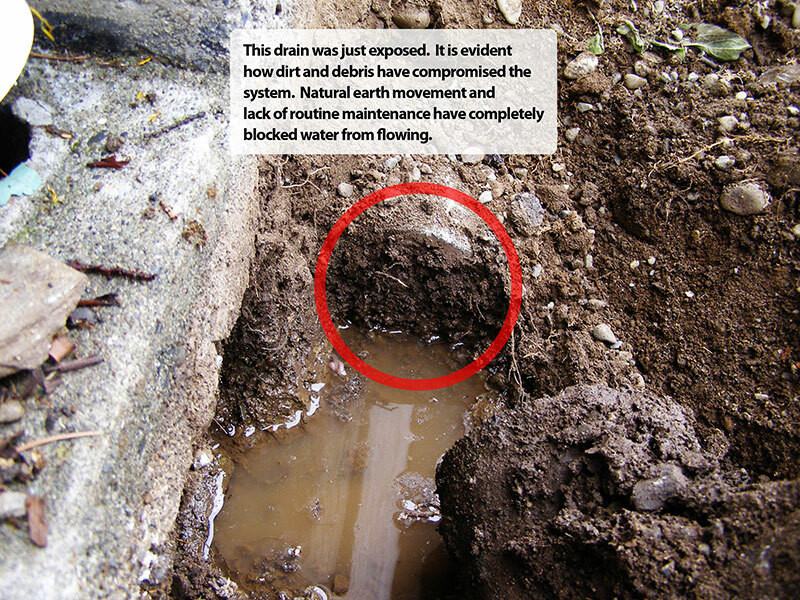 Efflorescence is a key sign that your exterior drain tiles require maintenance. 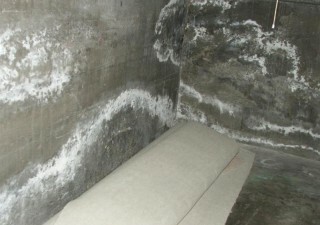 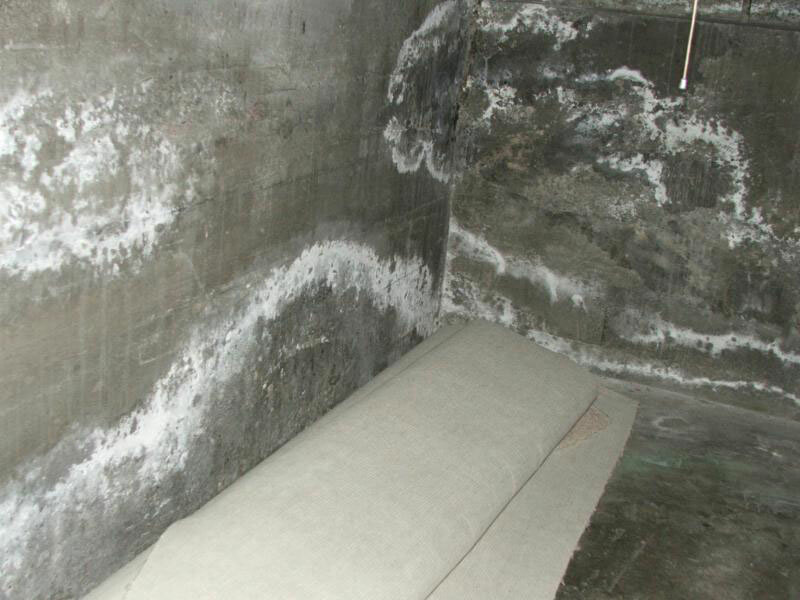 If you see this on basement walls, give us a call to see how we can help. 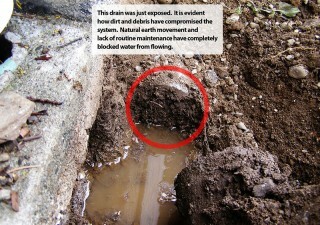 Years of neglected maintenance can result in an overwhelmed drainage system during high volumes of rain. 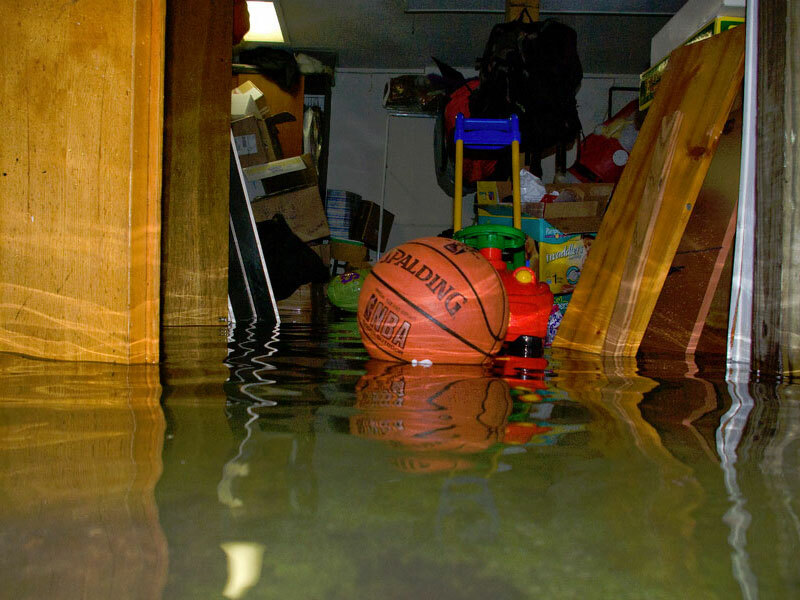 Call us to have your basement waterproofed. 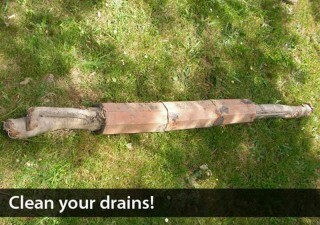 After running a drain camera inspection tool, the blockage was located. This picture illustrates why regular drainage maintenance is crucial. 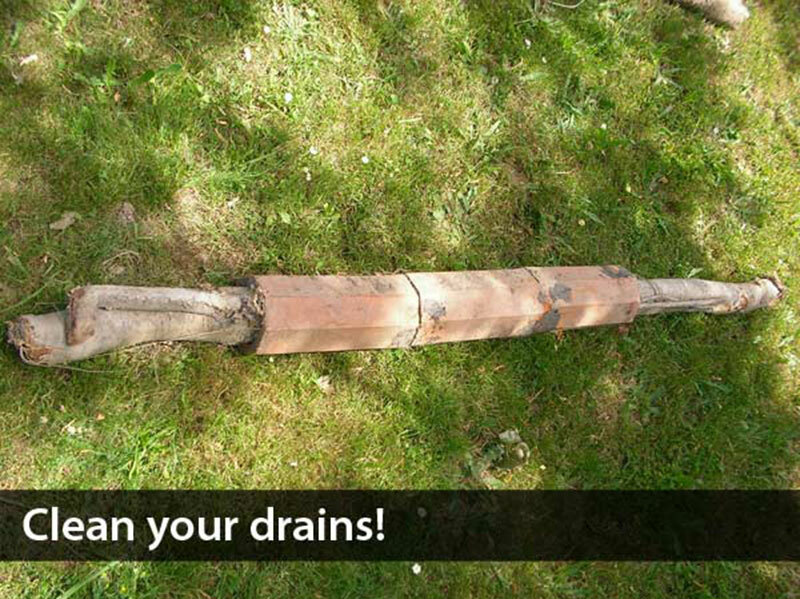 Don’t wait until it’s to late, have us regularly inspect your drains. 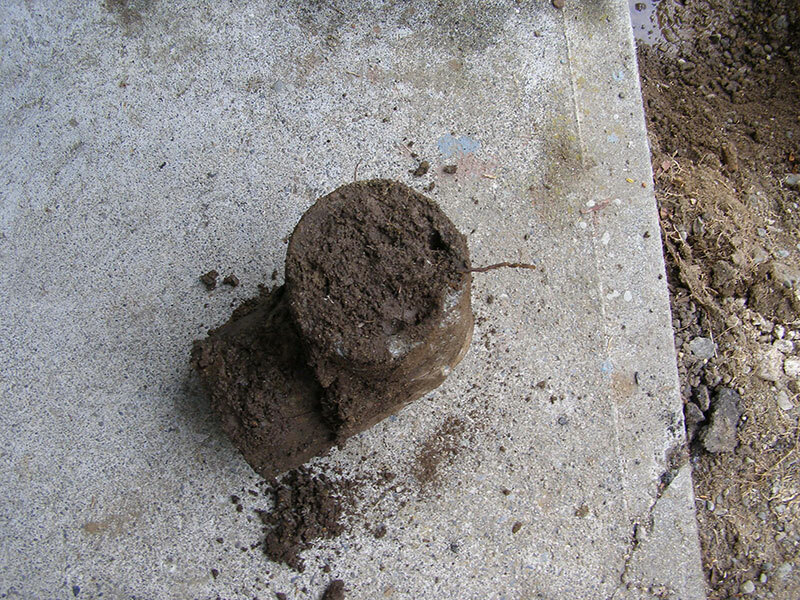 After removing an exposed piece of piping, one can see how irregular maintenance can lead to clogs that must be excavated to be removed (and replaced with new drainage). 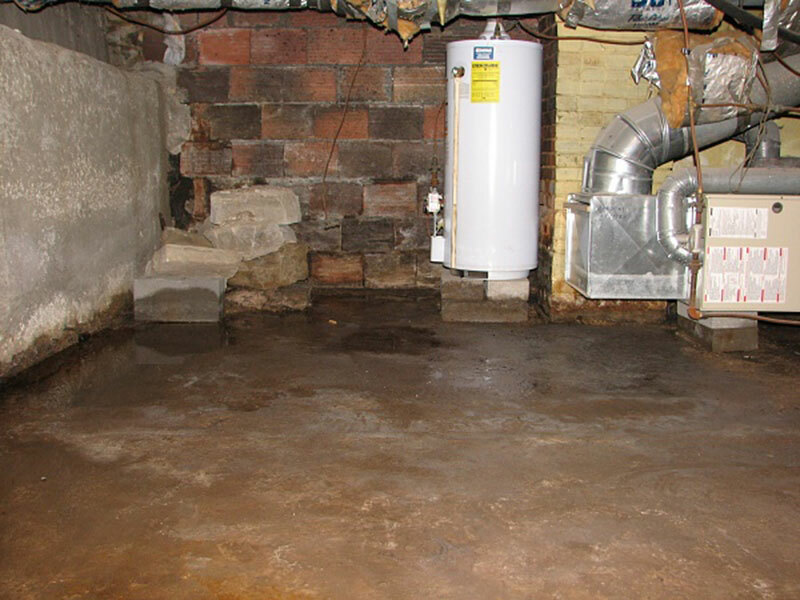 We are a trusted BBB member. 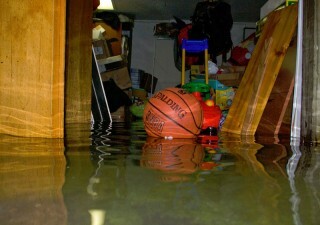 View our BBB page.